When the first Harry Potter book came out, along with everyone else I couldn’t wait to read it and I loved it. When they made it into a film I rushed off to the cinema to watch it. But I never watched anymore films until I met Andy. Andy loves Harry Potter and has watched all the films. When the Harry Potter Warner Bros tour opened Andy and I went on my first day of maternity leave when I was pregnant with Alice. I remember walking around like a beached whale taking in all the amazing scenes and sets. Andy loved it and still couldn’t believe I hadn’t watched the rest of the films. That day he ordered the complete set of DVDs and in the lead up to having Alice we watched the films. I even went into labour with Alice watching one of them, a moment that I definitely won’t forget. Last year Alice watched her first Harry Potter film and loved it. We will slowly introduce her to them as she gets older, as some of them are very dark. We also took her to the Harry Potter Warner Bros tour along with my niece and they had a great time. When Hawkin’s Bazaar asked if I wanted to review some Harry Potter merchandise I jumped at the chance. 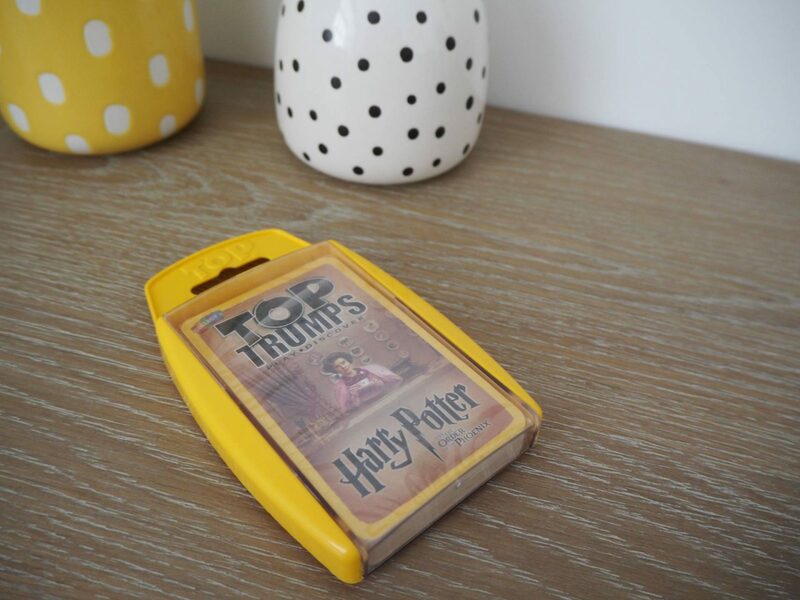 We were sent the Harry Potter and the Order of the Phoenix Top Trumps game. I love Top Trumps it reminds me of my childhood and Alice has a couple of sets. 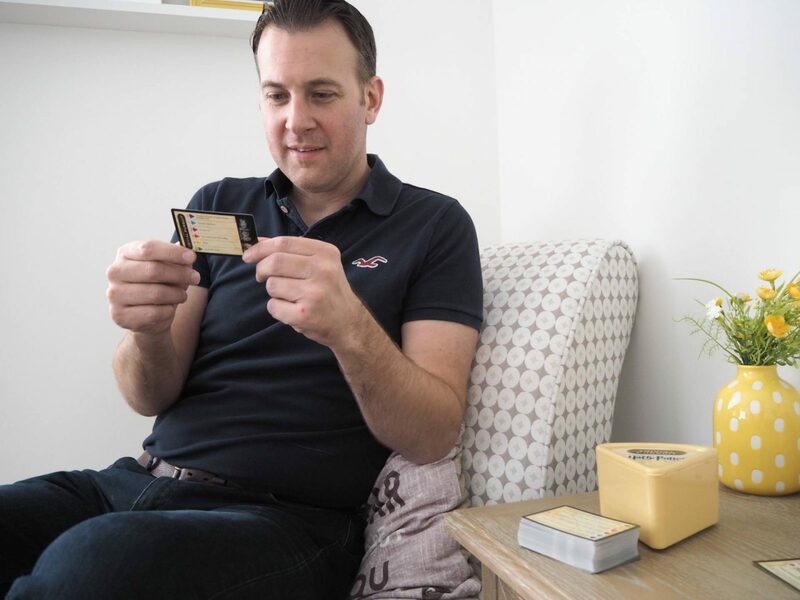 If you are not familiar with Top Trumps, any number of players can play and you deal all the cards equally to each player. Each player holds their cards face down and only look at their top card. 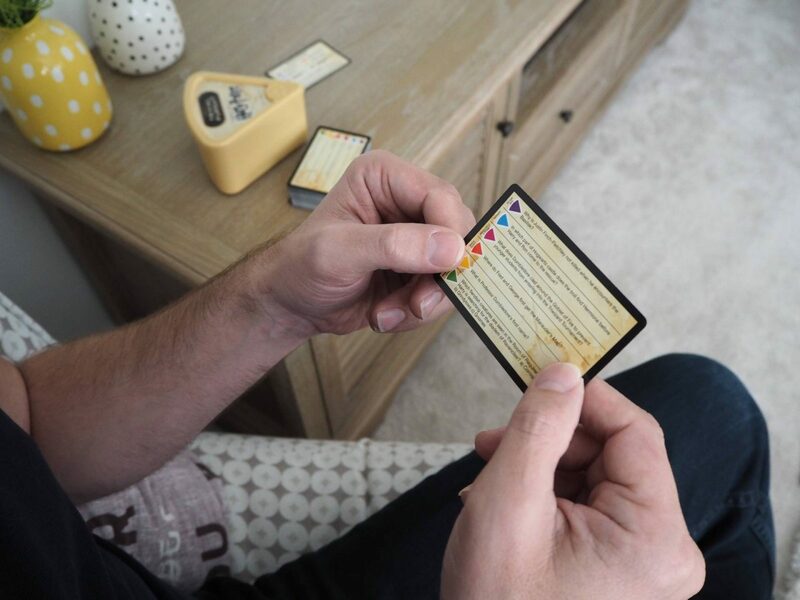 The player to the left of the dealer starts and chooses an item on the card, all the other players then read the same item. The player with the best or highest value wins and wins all the cards. They place them along with their own to the bottom of their pile. The winner is the person with the most cards. We were also sent the Harry Potter Trival Pursuit game. This is suitable for 8+ years and I would say that you need to be a really big fan of Harry Potter. As all the categories and questions require a good knowledge of Harry Potter films to answer them. This bite sized edition contains 600 questions and it has no board, making it easy to take anywhere in the world. 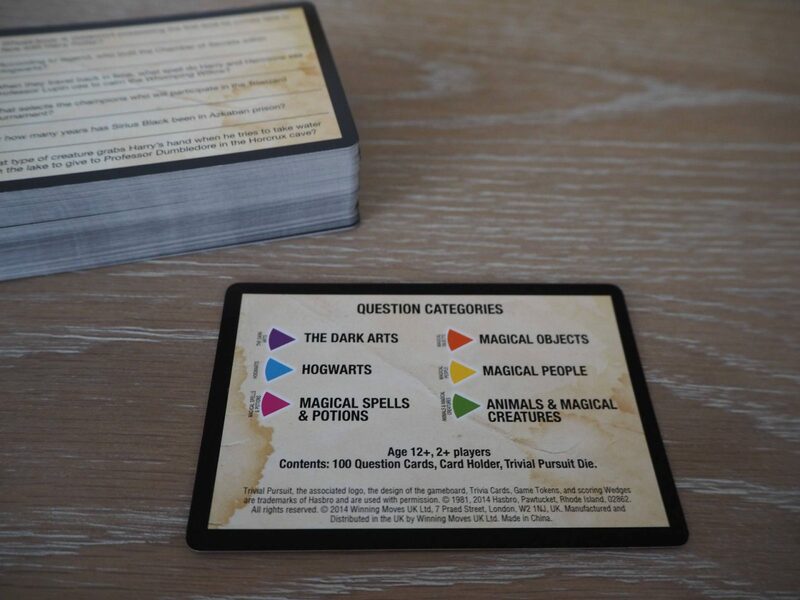 Its similar to normal trivial pursuit, but instead of collecting wedges and having counters, you collect 6 cards to win, one from each category. Andy loved playing it and he can’t wait to play with someone that has more Harry Potter knowledge than me! 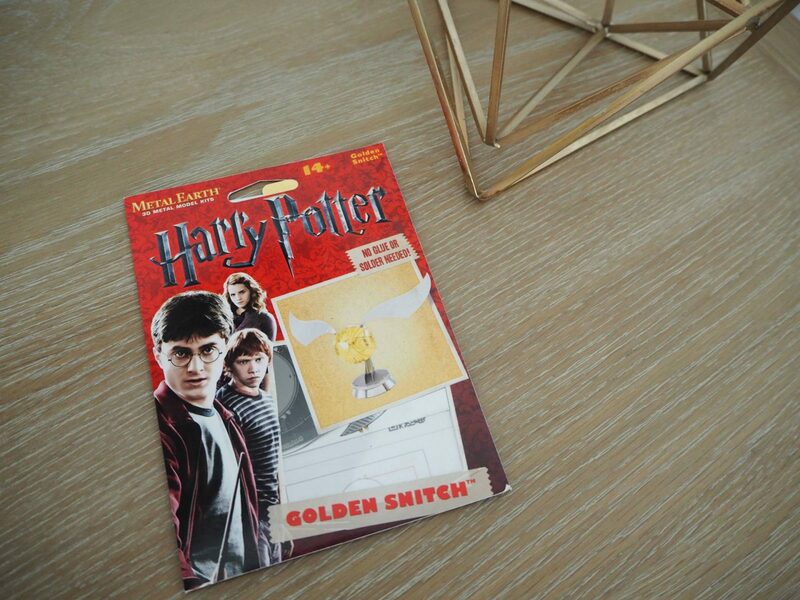 The final thing we were sent is this Metal Earth Golden Snitch 3D metal model kit. This looks amazing! It is aimed for age 14+ and I can see why, there is a lot of attention of detail needed to make this. You need clippers and tweezers to remove from the metal sheets. It is one of a collection, where you can also get Hagrid’s Hut, Gringotts Dragon and the Hogwarts Express Train. 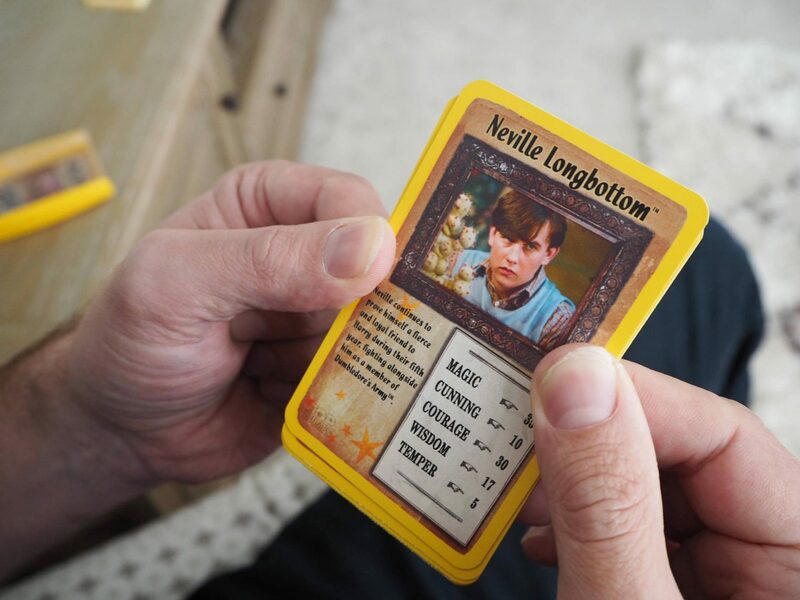 Harry Potter and the Order of the Phoenix Top Trumps game is £5. 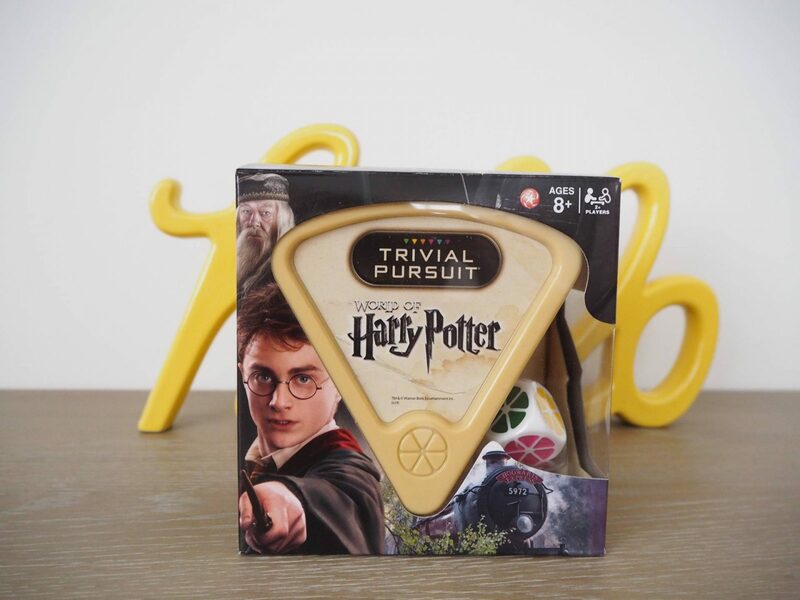 Harry Potter Trival Pursuit game is £10. Metal Earth Golden Snitch is £17. Disclosure: We were kindly sent these products for the purpose of this post and I was compensated for my time. Previous Post: « The Game Every Family Needs This Christmas…Don’t Be A Donkey! This looks like such a fab gift for any Harry Potter fan and lots of fun for the whole family! I am a Harry Potter fan and watched all the movies that came out and now hoping to tour the studios soon, love the games you got to review. I’m really not a Harry Potter fan but I can see how awesome these things would be if I was! I love Top Trumps! My nephew is a huge fan of Harry Potter. He would love this. These look like great gifts, my daughter is 8 and has read the first book and watched some of the first film, I think the others are a little dark for her yet. I am a huge Harry Potter fan and these look fantastic! My eldest boy was big fans of Harry Potter, growing up. Great gifts here. Ooh what fab gifts for Harry Potter fans. I’ve never actually seen Harry Potter, or read a book, but Gaz and Lewis love it and I’m sure they’d like to see these in their stockings this Christmas! Brilliant! I’m a big Harry Potter fan and I love these type of games. Definitely top marks as a stocking filler. 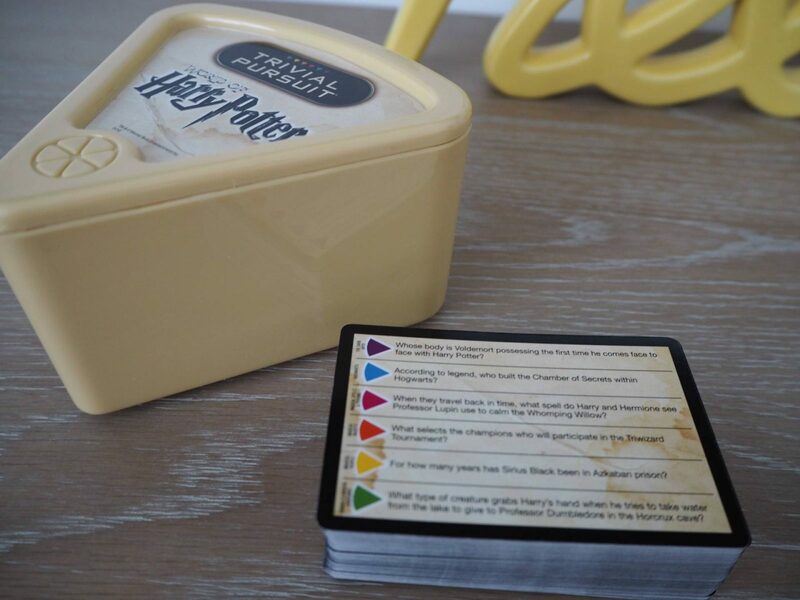 Yes to Harry Potter trivial pursuit! Finally, a quiz game I could beat my family at haha. These would definitely be great gifts for any Potter fan. OMG this sounds perfect for my friend. She read all the books the second they came out and watched the movies too. She love Harry Potter. That would make the perfect Christmas gift. I have seen this game before in different stores and I wasn’t sure about it, I am big fan of Harry Potter and after your review I definitely will get it.